My studio practice straddles the line between traditional and digital painting. I am a firm believer in the value of a made thing. I also adhere to the notion that expressiveness and meaningfulness are tied more to ideas and interpretations than to material. During the period of this fellowship, I will create series of works that puts this notion to the test. By working in cycles of three works per group, each containing one work painted by hand (traditional), one model in a virtual environment (wholly digital), and one painted digitally (digital in format but made by hand using a stylus), I will highlight differences between these approaches. With the aid of the IDAH, I will construct a tool for collecting data that sheds light on how the works are perceived and how the distinctions in medium affect viewers’ relationships to notions of authorship, merit, and meaning. Caleb Weintraub is represented by Projects Gallery in Miami Florida. Weintraub earned a BFA from Boston University and an MFA from The University of Pennsylvania. He has had eight solo shows in the past ten years including shows in New York, Philadelphia, and Chicago. His paintings and sculptures have appeared in contemporary art fairs in Miami, London, and Zurich. 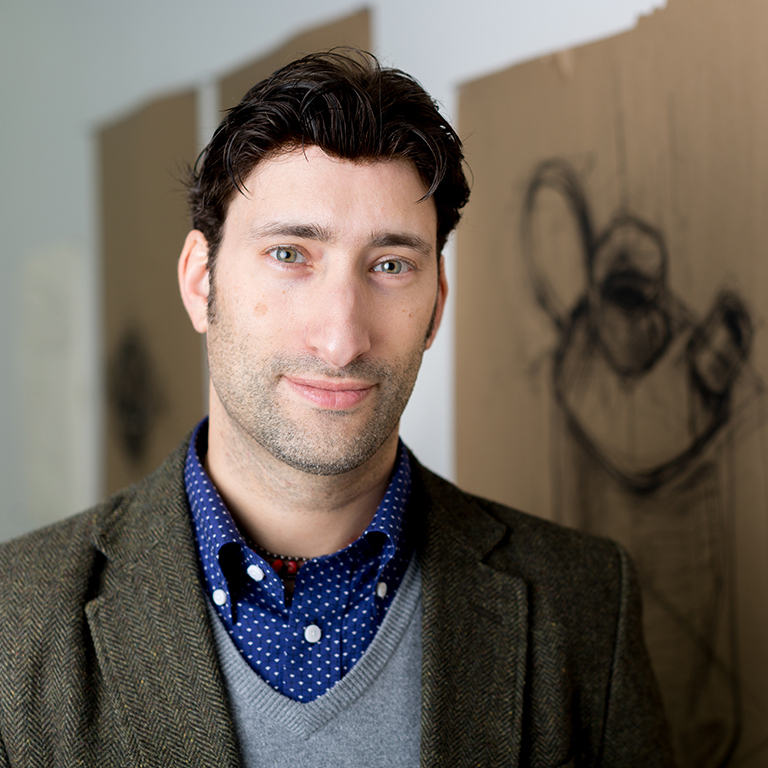 Caleb Weintraub has been an artist-in-residence at Redux Art Center in South Carolina and the Santa Fe Art Institute. Significant group shows include exhibitions at the Chicago Cultural Center, the Hyde Park Art Center, and Scion Art Space in Los Angeles. Two of his paintings were featured in the book, “Signs of the Apocalypse/ Rapture” published by Front Forty Press, distributed by University of Chicago Press. A Feature article on his work can be found in the September 2017 issue of Juxtapoz Magazine. Weintraub makes paintings, installations, and digital prints. In his recent work, he integrates digital processes with traditional painting techniques to evoke hypothetical realities and dreamscape interpretations of "our fragmented, puzzling, disorienting, and sometimes senseless world." You can view a selection of Caleb's work on his website, www.calebweintraub.com.